Catfish exporters are focusing on improving the quality of the industry from pangasius seeding and material processing to processed products, with an aim to maintain the growth momentum for the sector. The State Bank of Vietnam (SBV) has set a target to stop cross-ownership among credit institutions (CIs) by the end of 2020. 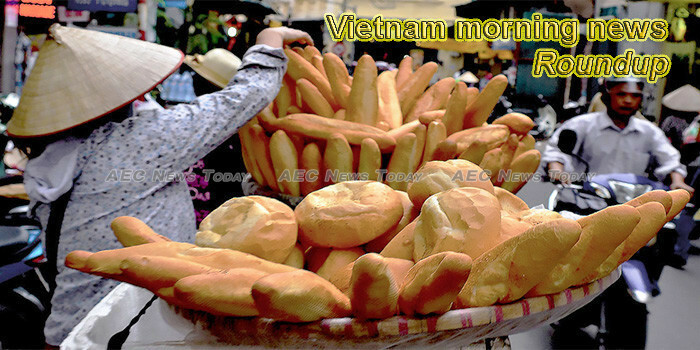 The State Bank of Viet Nam (SBV) net injected more than VND47.5 trillion (US$2 billion) into the open market operation (OMO) last week to support the liquidity of the banking system amid rising capital demands at the end of the year. Recruitment demand, especially senior positions in consumer electronics and real estate, is expected to increase as more companies relocate from China to Việt Nam, according to the latest report from Navigos Group. The southern province of Binh Duong targets an export growth of 15.5 percent this year, according to Director of the provincial Department of Industry and Trade Nguyen Van Danh. The Prime Minister on January 19 approved the ‘Scheme of deploying, applying and managing the traceability system’ with the goal to build and operate a portal on national product and goods traceability by 2020. The State Bank of Việt Nam (SBV) has set a target to stop cross-ownership among credit institutions (CIs) by the end of 2020. Foreign direct investment (FDI) pledged in Việt Nam witnessed a significant yearly increase of 52 per cent to US$1.9 billion in the first month of this year, according to the Ministry of Planning and Investment. Despite initial hiccups, most of Viet Nam’s car firms are now complying with import rules that were tightened early last year, according to Deputy Prime Minister Trịnh Đình Dũng. The National Committee for Traffic Safety (NCTS) has announced 20 hotlines to receive people’s reports and queries on traffic issues during the Lunar New Year (Tet) holiday and the season of spring festivals. According to commitments in the Comprehensive and Progressive Agreement for Trans-Pacific Partnership (CPTPP), Japan will eliminate 86 per cent of tariff lines for Viet Nam as soon as the trade pact becomes effective. Air pollution in Hanoi in recent days has been so severe that health experts have warned people to stay indoors. The Việt Nam International Trade Fair (Vietnam Expo 2019) will return to Hà Nội in April, drawing about 550 exhibitors from 20 countries and territories. Deputy Prime Minister Vuong Dinh Hue has asked Hanoi to renovate its mindset in attracting and using foreign direct investment (FDI) capital in the face of new emerging requirements, conditions, opportunities and challenges in the new period. Vietnam has so far this year licensed 226 foreign-invested projects of 28 countries and regions, the Foreign Investment Agency said on Tuesday, noting that China was the biggest investor. Despite their high prices, demand for organic products like rice, fruits and vegetables has increased sharply, more so ahead of Tet (Lunar New Year) holiday.